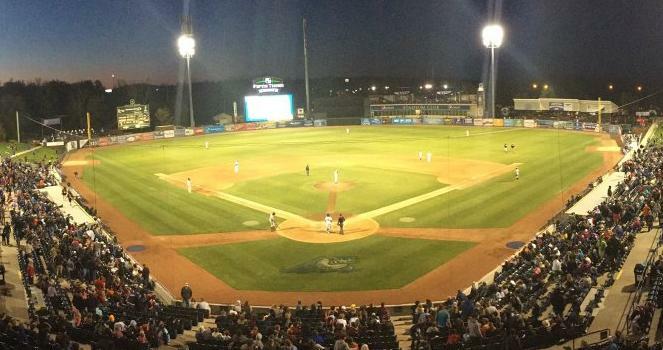 After winning two of their last three, the West Michigan Whitecaps (15-13) kicked off a three-game road series against the Lake County Captains (19-12), sending lefty Trent Szkutnik (0-0, 1.66 ERA) to the hill to face the Captains. Szkutnik worked 4 1/3 scoreless innings for West Michigan, allowing five hits, walking one and striking out one against Lake County. West Michigan had plenty of offense to back Szkutnik and his staff, punching 15 hits on the night against the Captains, led by infielder Will Maddox and outfielder Jose Azocar. Maddox posted four hits, including a double and a triple; falling a home run short of the cycle. After going hitless in his last two games, Azocar knocked three hits for West Michigan, including a triple of his own. Following 2 2/3 scoreless innings from West Michigan reliever Toller Boardman (2-3, 1.59 ERA), the Captains made a late push with a pair of runs in the bottom of the ninth off Whitecaps closer Jake Shull (0-0, 1.15 ERA). Posting a pair of strikeouts, Shull was able to hold his ground and closed up shop, securing the win for West Michigan, also the second win of the year for Boardman. Coming up next: West Michigan returns for the second round of play against Lake County on Tuesday evening, sending big righthander Sandy Baez (0-3, 4.08 ERA) to face Lake County lefty Thomas Pannone (2-2, 2.86 ERA).